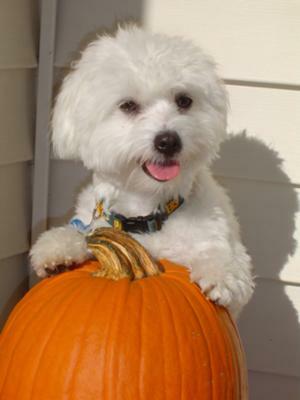 Thinking about getting a Coton de Tulear? I used sites like this when I was agonizing over the decision to adopt a Coton de Tulear- so I guess this is to all of you who are thinking of getting a Coton-- my dog is the most WONDERFUL animal I've ever met. Be careful to go with a reputable breeder- and socialize early on- Casper was afraid of EVERYTHING when I got him- after puppy classes and lots of friends and family interaction he is much more confident and calm. He was very easy to train- he loves doing tricks. His coat always smells wonderful (how is this possible?? still a mystery to me...) I do keep him clipped short as he gets too warm with the longer hair. He follows me around and is eager to do anything I ask him to do- even if its something he hates (baths!). I work all day and he stays in a large crate while I am gone-- I was very concerned about separation anxiety, but he has done great. Hope this helps you make a decision- I know I used others advice A LOT when I 1st got my Coton. Comments for Thinking about getting a Coton de Tulear? She was 13 and I had her from two months old. I live in Washington, DC. Area., near Virginia and Maryland. I can travel a couple hundred miles to visit a breeder. Continue to love and enjoy your Coton-de-Tulear. P.S. Sorry, I did not answer your question about Casper and Tuffy look alike possibility of being related. Tuffy came from a Breeder in the Felton area of the Santa Cruz Mountains of California. The Breeder and her mother both own and breed their Coton de Tulear pups. (see Tuffy's family album photos). His mother Chloe had short hair because she was nursing pups, his father Rowdy had a bushel of hair! I never saw them in person as she brought the puppy to me on a stormy night when I did not want to drive into the mountains, but they appear (in the pictures) to be larger than my dog.I think Tuffy must have been the "runt" of the litter. I am glad, because I like him as small as he is. He weighs 9 pounds now, as much as my new baby granddaughter! How cute! Casper looks a lot like my Tuffy, they might be related! (see photos I submitted of his family album). Thank you so much for coming back and sharing your Coton experience. I get emails all the time saying that the photos and input from our visitors helped them make a decision on this breed, so thank you!